For a single word search engines offer indefinitely large number of results and it isn’t surprising that the user traffic drops significantly from page 1 to page 2 of the search results. But one can focus this user traffic by using proper marketing methods- to talk specifically one of those methods today is through SEO. Search engine optimization stands to be one of the top aims and struggles of any business (online or offline) today. VIVITSA- digital marketing, a professional SEO company in Navi Mumbai, stands strong with you as an answer to all your online marketing and SEO related woes. Respected techie Jeffrey Hammerbacher once stated “the brightest minds of today are thinking about how to make people click ads” and this very sentence gives an idea about the level digital marketing has reached today. With the increased amount of competition within businesses the smartest marketing is through ads. But with the search engines around, the new challenge is getting noticed amongst a plethora of similar ads. A professional SEO company helps your business overcome this challenge by providing you experienced experts who know the tricks of the trade while dealing with online marketing. Why underestimating hiring a SEO company a mistake? SEO isn’t merely a trend in Navi Mumbai today. With several companies and SEZs, Marketers are investing more and more to get the essential exposure they need on search sites. There are a few things that only experts can help you with. 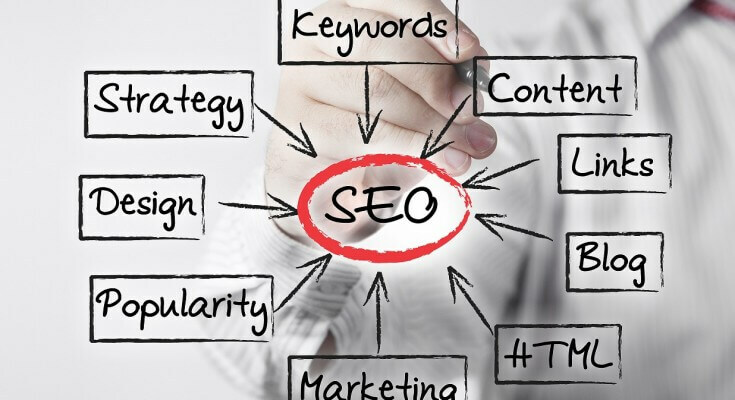 Experienced SEO companies know certain tricks that help establish an identity of your business on the virtual screen. 2. keeping intact the relevancy. 5. Updated according to the market. 6. Capturing the user’s interest. Although the tasks may seem simple enough they are highly difficult to comply with in the long run. Our SEO Company based in navi Mumbai centred in the business capital of the country promotes your business before the user traffic to help attract a wider clientele. It ensures fair competition amongst those within the same businesses and at the same time gives an edge to help create an identity for your brand. Combining good research, expertise, web tools, general & content based marketing, good hosting, apt visual representation and apt analysis of your data we promise to help evolve your business in this digital age. Vivitsa is a professional SEO Company in Navi Mumbai that has the capacity to bring unique strategies especially customized according to the needs of your business. The world of marketing simultaneously becomes easier and harder each day. The web gives us new opportunities to flash our businesses on wider platforms but at the same time increases potential competition at a steady and fast rate. Search engine optimization helps give your business a fair chance before it gets blanketed and the path to achieve that is only through an experienced SEO company in Navi Mumbai which gives you optimal consultation in the area. Gone are the days when people would flip through a magazine, surf through television or check out banners to know a product better and decide to buy them. Methods of marketing have changed tremendously through the years. With a world connected on a global scale by the internet it has become easier to seek out information about a product on the internet. Smart marketers understand that in these modern times traditional marketing isn’t the only answer left for them. The need to switch to modern forms of marketing is thus of importance for any business to stay connected with its consumers as well as create potential consumers in the market. In a competitive market like Mumbai, media companies like Vivitsa provide new options to business houses for them to stay in the competition and in check with the times. Content marketing is relatively new terminology in the world of business and though most have a fair idea of it they don’t really understand the concept all in all. Content marketing is simply providing your consumers with information so as to attract and retain buyers. In simple terms it is a strategy to clarify and simplify a product in front of social media so as to clutch more clients. This information is continuous, relevant and valuable. It is provided through articles/ blog posts, social media post, graphics, videos, podcasts, E-newsletters. This in turn helps the buyer know the product or service better with it being focused in such a way so as to reach a well-defined audience. Even though social media is available and free for unlimited use, content marketing aims to do the exact opposite of that. Marketers know that long irrelevant ramblings do not catch the attention of the consumers for long. Content marketing looks forward to marketing the relevant content or portion and eliminating the rest while at the same time catching the interest of the relevant clientele. Since it is hard for business houses to understand and streamline the communication of their own product, content marketing agencies help by playing the role of the intermediates. Based in Mumbai, Vivitsa is an online advertising and content marketing company which provides services to amateur business houses as well as a well-known business houses with online marketing strategies to increase their sales. Even though both types of business have different needs the goal is to know the customers well, understand their needs so as to provide services and products that are up to the mark, draw more customers and to communicate the content of their idea. We offer advertising solutions by analyzing the consumer behavior and providing the content that will target a specific kind of consumer. Thus guaranteeing a bigger market for your product. 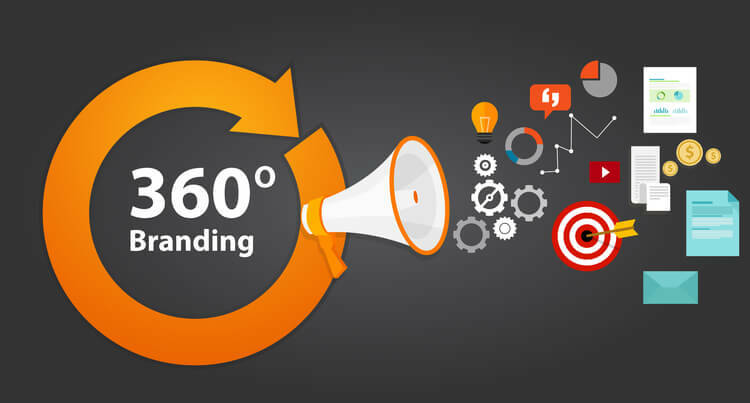 Content marketing services help reduce overall costs of businesses as a team of trained professional already handle your brands marketing for you. Besides Content Management being as extremely efficient it’s easier to now maintain control and a check over the content provided for the product. Marketing and efficient advertising are needed to move forward in the competition today. Content marketing agency in Mumbai, Vivitsa Infomedia provides services to assist your business to do so. Communication is one of the biggest achievements of the human race. What started with classifying random sounds to be used as signals turned into using tech to promote ideas. Advertising is not a new concept in the world of media and communication but it is now that advertising is being recognized for a wider purpose altogether. It is not just about making a brand or a name famous; advertising is all about making the "idea" famous. And an advertising agency that helps communicate the idea of your brand ensures a better business of your brand. Vivitsa is a premium advertising agency in Navi Mumbai that understands the needs of both established brands and young brands today. Business houses know that advertising is as important for named brands as it is for new brands. But, the requirements of both are varied. Where the already established businesses are looking to reach a wider population with the use of new tools of technology; amateur businesses seek to stand out, not die in the competition and to keep all expenses tight. Understanding the value of each, we provide digital marketing services, website design, brand building, social media marketing, and content writing and SEO services. PRINT MEDIA V/S SOCIAL MEDIA. This century gave birth to social media and advertising agencies were quick to use the new platform for their clients. Western industrial competition and the economic philosophy of today instruct brands to create a unique identity on social media. To be highly noticed among the various posts in the newsfeed of a social site is the aim of all businesses. A good advertising agency provides you with the opportunity to do exactly that. Creative personnel with fresh minds help take off a part of the business’s burden. It saves costs and ensures experienced heads to deal with all customer communications woes. Though social media is high up on the rise one simply cannot ignore the print media. Contrary to popular belief there was actually a GROWTH of 5.8% in media in the year 2014-15. Not only do the newspapers survive on advertisements but advertising agencies depend on print media to better perform their work. Advertising focuses on communicating with even hard to reach customers and an adept advertising agency cannot ignore the role of newspapers and magazines while doing so. Vivitsa is the ideal advertising agency and marketing guru you want for your business. No business requirement is the same as another, so we give your brand the personal touch it needs. Individually analysed advertising plans, Content streamlining to target the correct clientele, rates and plans to keep your wallets smiling and the Mumbai based set up make everything just right. We are an advertising agency that understands the art of communication, the science of the market and the west influenced commerce while at the same time grasps your requirements and market expectations. Vivitsa is a distinguished advertising agency that combines print media with digital media and is ideal to help your business establish a distinguished brand name. SEO i.e. Search Engine Optimization is a service provided for a variety of search engine ranking issues and deficiencies. These are basically a set of rules that can be followed by website owners to optimize blogs and pages for search engines and thus improve their search engine rankings. In today’s competitive market, SEO is more important than ever. Search engines serve millions of users per day looking for answers to their questions or for solutions to their problems. If you have a website, blog or online store, SEO can help your business grow and meet the business objectives. What do SEO Services provide to your business? Easy Accessibility- An important aspect of SEO is making your website easy for both users and search engine robots to understand. SEO helps the engines figure out what each page is about, and how it may be useful for users. Business Credibility- Searches make mental notes of the rankings for the terms they enter into Google and other search engines. High search rankings generate a perception with the customer making you more credible in their eyes. Business Traffic - SEO brings your business traffic. Sure, by itself, traffic is not going to make you money. You have to make your best effort to sell to your customers once they are on your website, but it’s better to do business on a crowded street corner than it is to set up shop on a deserted island. SEO is not a cost but an investment- SEO is an investment with a high return. Lifting your rank to the top 3 spots on the first page, where most clicks go, can provide a massive return on your modest investment into SEO. Crucial part of your Marketing Mix - An SEO services provider must not be dismissive or misleading about other specialties than their own, but instead help clients build the right foundation, mix and plan and then guide them to effectively implement and manage the most cost effective, high- return strategies and tactics that are aligned with their overall business goals. SEO will help people Find you - your website is the first point of contact with your audience online. It can generate leads, qualify prospects and attract potential new customers, partners or investors. But unless people can find it, your website won't be a lead generating machine. SEO plays an invaluable role here. SEO gets your business found, noticed and loved. Are you living in Mumbai and searching for an appropriate SEO service provider? You are in the right place. Vivitsa is the appropriate company based in Navi Mumbai with skilled, experienced and professional SEO services. With our SEO results, you will make yourself available worldwide. Trust us with open arms and contact us! Ad agencies are companies involved in publishing advertisements. An advertisement or “ad” is anything that draws good attention towards a product or service. Basically, advertisements are messages paid for by those who send them and are intended to inform or influence people who receive them. In today’s world, ad agencies use every possible media to get their message through. Ads appear on television, as well as radio, newspapers, magazines and as billboards in streets and cities. Ads are usually designed by an advertising agency for an identified sponsor, and performed through a variety of media. The advertising industry is made of companies that advertise, agencies that create advertisements, media that carries the ads, and a host of people like copy editors, visualizers, brand managers, researchers, creative heads and designers who take it to the last mile to the customer or receiver. Print Advertising- print media advertising is a form of advertising that uses physically printed media, such as magazines and newspapers, to reach consumers, business customers and prospects. Ad agencies can choose from a wide range of different types of newspapers, including local, regional or national titles published in daily, evening, weekly or Sunday editions. Advertisers can buy different sizes of advertising space. Magazines offer advertisers extensive choices of readership and frequency. Consumer magazines cover a wide range of interests, including sport, hobbies, fashion, health, current affairs and local topics. Advertising on billboards and posters give ad agencies the opportunity to reach consumers on the move. Advertisers can change the messages on billboards and posters at a frequency of their choice. Posters or billboards in train stations, airports or busy town centers have the potential to reach large groups of consumers. Ad agencies use direct mail to reach smaller target audiences or selected prospects. Direct mail often take the form of a letter, brochure or flyer sent via the postal service. Print media advertising offers advertisers the opportunity to target different readerships, with advertising costs based on circulation and nature of the readership. Digital Advertising- also called the internet advertising is when businesses uses internet technologies to deliver promotional advertisements to consumers. Digital advertising includes promotional advertisements and messages delivered through email, social media websites, online advertising on search engines, banner ads on mobile or websites and affiliates programs. Digital advertising basically allows marketers and advertisers to reach and appeal to their core audiences in new ways and with more precision. While it is dangerous to generalize about media costs given the wide array of choices within each medium, digital advertising can generally be seen to be among the most efficient means of reaching an audience. Digital advertising is providing its worth to brand marketers every day by creating new desire and demand, increasing engagement and loyalty, and ringing the cash register. Guerrilla Advertising- Also known as ambient media, guerrilla advertising has become prominent over the last 20 years. It is broadly used term for anything unconventional, and usually invites the consumer to participate or interact with the piece in some way. Guerrilla advertising i.e. marketing basically focuses on creative ideas and innovation, not a large budget. Broadcast Advertising- A mass-market form of communication including television and radio, broadcast advertising has been the most dominant way to reach a large number of consumers. As an broadcast advertiser, you will pay for a spot based on multiple considerations, including length, the time the spot goes out, which channel it is on, and most importantly , which show is arising at that time. This purchase will be handled by the media department of an advertising agency or a media buying agency, whose job is to negotiate the best rates and times for the commercials. Since different types of advertising has taken their way up, but broadcast advertising is still a popular way to reach millions of people, especially when the super bowl comes around. Outdoor advertising- also known as Out-of-home (OOH) advertising, this is a broad term that describes any type of advertising that reaches the consumer when he or she is outside of their home. It includes billboards, bus shelter posters, fly posters and even those big digital boards. Public service Advertising - PSA are primarily designed to inform and educate rather than sell a product or service. PSAs traditionally appear on TV and radio, but are also being heavily promoted online these days. Product Placement Advertising- product placement is the promotion of branded goods and services within the context of a show or movie, rather than as an explicit advertisement. It’s a way that these films and shows get funding, and is a great way for advertisers to reach a targeted demographic. Cell phone and mobile Advertising- this is a relatively new form of advertising which uses cell phones, iPad, kindles, nooks and other portable electronic devices with internet connectivity. Current trends in mobile advertising involve major use of social media such as Twitter and Facebook. This kind of advertising interacts customers at a must faster rate as nowadays socially people are connected more easily. Introduces a New product in the market- advertising plays an important role in the introduction of a new product in the market. It gives any new product the right platform to reach to the target audience. It stimulates the people to purchase the product. Increased sales- advertisement facilitates mass production to goods and increases the volume of sales. In short, sales can be increased with additional expenditure an advertising with every increase in sale, selling expenses will decrease. Advertising make the thing more popular among almost all people which in turns results in increased sales. Expansion of the market- advertising enables the manufacturer to expand his market. Basically it helps in exploring new markets for the product and retaining the existing markets. Advertising convinces the people by making s wide reach among their hearts about the manufacturer products. Enhances goodwill- advertising results in increasing goodwill of the concern. It introduces the manufacturer and his product to the people. With the repeated advertising and better quality of products, it brings more reputation for the manufacturer and enhances the goodwill there by. Educate the consumers- advertising is dynamic and educational in nature. It familiarizes the customers with the new products and their diverse uses and also educates them about the new uses of existing products. It makes the customer aware of the latest trends that are being held in market. Better quality products- different goods are advertised under different brand names. A branded product assures a standard quality to the consumers. The manufacturer provides quality goods to the consumers. The manufacturer provides quality goods to the consumers and tries to win their confidence in his product. Supports salesmanship- advertising greatly supports the work of a salesman. The customers are already familiar with the products which the salesman sells. Which in turn results in reducing the selling efforts of the salesman. High standard of living- The experience of the advanced nations shows that advertising is greatly responsible for raising the living standards of the people. By bringing to the knowledge of the consumers different variety and better quality products, it has helped a lot in increasing the standard of living in a developing economy like India. In a city like Mumbai, advertising is all the more effective because of the teeming population which is used as the lifeline of the city. Mumbai is a city of stars, advertising in Mumbai matters a lot as the focus is to cover the huge crowd all over the city. There are a number of ad agencies in Mumbai, but selecting the best one is the toughest of all. A successful ad agency will spread the word about your products and services, attract customers and generate sales. We offer end-to-end creative solutions and are known for our fierce passion for good results. We have a talented pool of resources who provide that vital element of elasticity which manifests in creatives that builds beliefs for our brands. Our job is to make the consumer believe that is worth including the brand in everyday life at the cost incurred. Contact us for a delightful experience for your advertisement! Rated 4.8 / 5 based on 18 reviews.